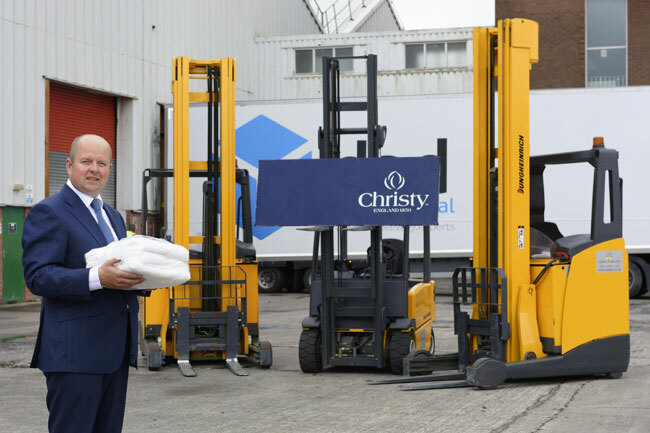 Make Clare Sales Director delivering another fleet of forklift trucks to Roberts Transport. Amdec is a proud supplier to Roberts Transport their fleet of waggons and warehouse is immaculate. Amdec has supplied Roberts for over 25 years dealing with Steve Roberts originally and now Luke his son. 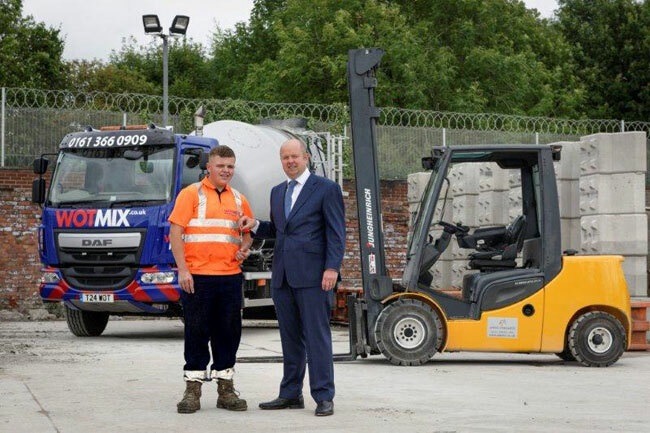 Bruce the main forklift operator at Wotmix receiving his key for the Refurbished 3500kg Diesel Truck. "This is our Third machine from Amdec. Amdec is a truly genuine company who deliver what they say on time. They have an excellent service centre which responds to breakdown and service requirements quickly. We lost very little money on our old machine when Amdec offered to buy it Back." "We have used Amdec for over 12 Years dating back to our old factory in Hyde. They always deliver value for money. We have a fleet of Seven machines consisting of Flexi Trucks, Reach Trucks, A Counter Balance Machine and even a Skyjack Scissor Lift. Amdec is just in the process of demonstrating floor care equipment to our Manchester Warehouse. 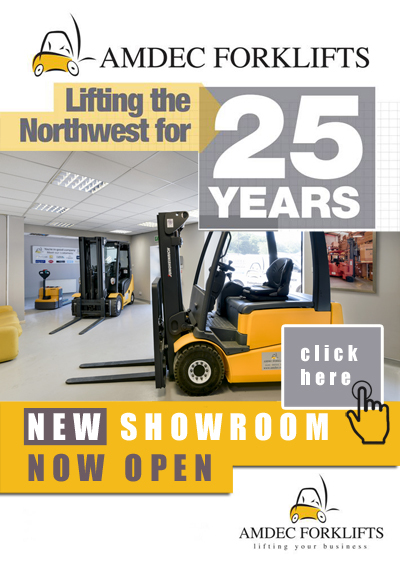 This company is a truly one stop shop for warehouse equipment. " 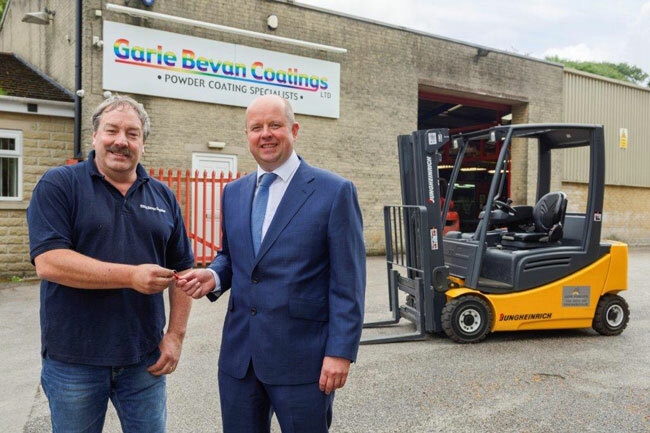 Dave Slater at Garie Bevan Coatings Limited receiving his forklift keys. 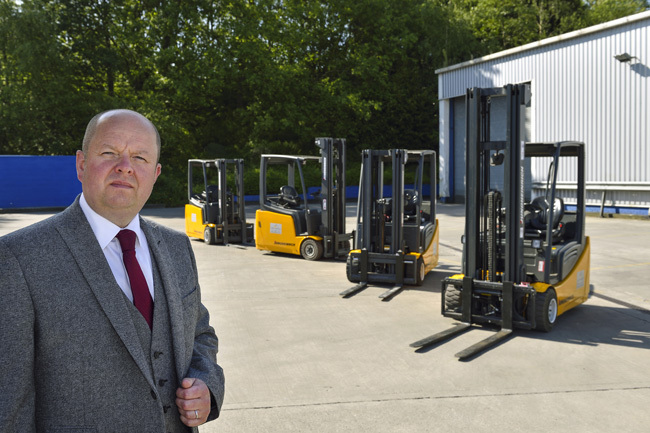 "We have had our forklift Trucks from Amdec for Nearly 20 Years. We always have refurbished machines as they are of an excellent standard and last us for many years. Mark Clare from Amdec recommended that our last truck we go Electric. This was excellent advice as we no longer have to order gas bottles and it is also lot cleaner for our factory. We would not hesitate to recommend Amdec to anybody their service and advise is second to none. " 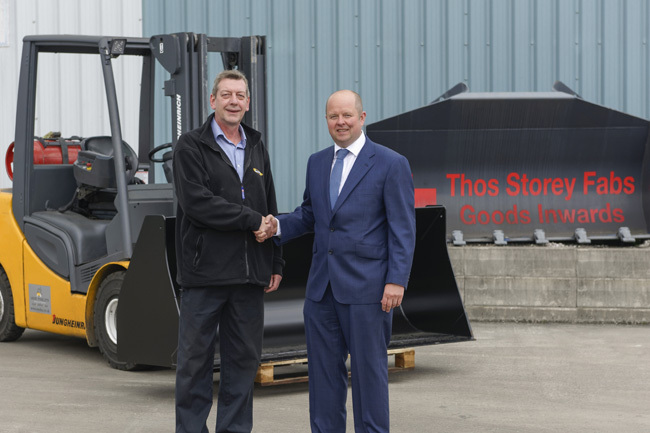 Mark Clare Delivering the first of two machines to Thomas Storey. "We called Amdec for a Quotation for a refurbished machine within no time we had the Quotation and the machine was delivered. They gave us an excellent part exchange for our old machine even though it was a none runner. The whole process of getting our new machine was quick and easy. We would not hesitate in recommending Amdec to anybody. " 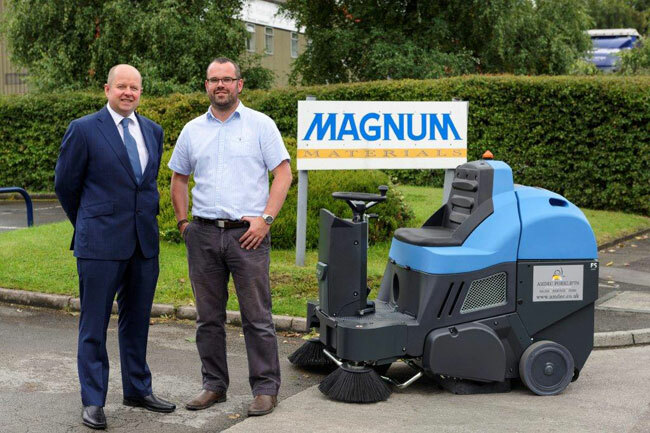 Mark Clare delivering a new Fimap FS80 Floor Sweeper to Magnum Materials. 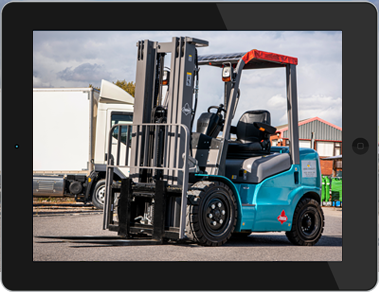 "Amdec have been the sole provider of our forklift trucks for a number of years. We have Eight machines from Amdec. They have done such a good job of our Materials Handling we have given them the job of our floor care in our warehouse. We would never hesitate in recommending Amdec for their service and value for money. "